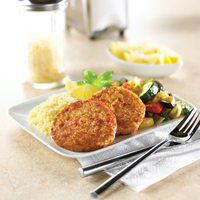 Manufacturer Captain’s Fine Foods King & Prince Seafood Corp.
Captain’s Fine Foods King & Prince Seafood Corp.
MRS. FRIDAY’S® UNBREADED KRABBYCAKES® 2.25 OZ. 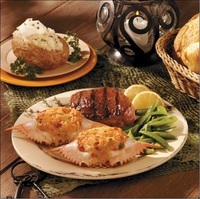 KING & PRINCE® FLYING JIB STUFFED CRAB 3 OZ. KING & PRINCE® FLYING JIB STUFFED CRAB 2 OZ. 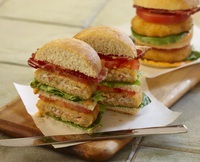 MRS. FRIDAY’S® BREADED KRABBYCAKES® MINI 0.4 OZ. Manufacturers Captain’s Fine Foods King & Prince Seafood Corp.